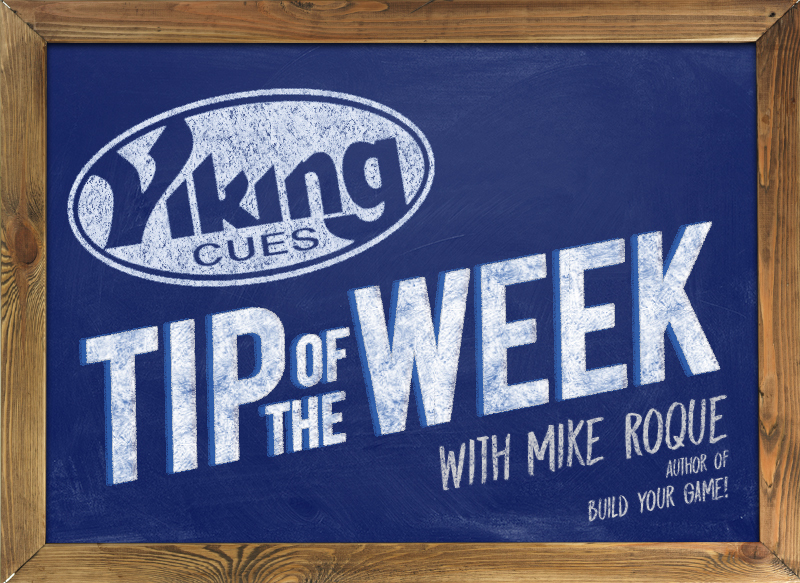 Up Close & Personal - Viking Cues Tip of the Week with Mike Roque author of Build Your Game. In the days when straight pool was king, technique was different. Most of the top players of that era used a more upright stance. Willie Mosconi, Irving Crane, and Babe Cranfield are examples of World Champions who shot with their heads well above their cue sticks. When nine ball, with its fast tempo and demanding cue ball movement became more popular, stances crept lower. The game of pool became more athletic in nature. When your head is low, it allows you to see the aiming line more easily. It also offers a clear view of the relationship between the object ball and the cue ball and this seems to lend itself to accuracy. Efren Reyes, Johnny Archer, Earl Strickland and Allison Fisher are a few of the modern players that shoot with their chins practically on the cue stick. If you get used to shooting from this position, you’re almost guaranteed to pocket balls with more accuracy. When you first try it, set your head position first and then your stance. Give your body some time to adjust as your back muscles will get sore if you overdo it. As Larry Moy suggests in the above quote: Keep it comfortable! Keep your head low. You’ll miss the chandelier and pocket better!